Epilepsy is twice as common in low and middle-income countries as it is in the developed world, according to an international team of researchers. They say the higher incidence is linked to increased risk factors, including head injuries and infections such as pork tapeworm and river blindness. And more than 60% of sufferers in those countries receive no appropriate treatment, they say in the Lancet. 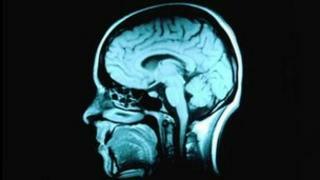 A Lancet editorial said epilepsy had to be a global health priority. Epilepsy is a condition in which disturbances to the brain's normal electrical activity cause recurring seizures or brief episodes of altered consciousness. There are about 40 different types. Epilepsy is not a mental illness, but can develop after injury or damage to the brain. About 85% of the global burden of epilepsy occurs in low and middle-income countries. Writing in the Lancet, researchers led by Prof Charles Newton, of the University of Oxford, say the death rate in developing countries is much higher than in developed ones - and that the reason for this is likely to be a failure to treat people with the condition. Prof Newton said: "The burden of epilepsy in these regions is at least double that found in high-income countries, and sadly, adequate facilities for diagnosis, treatment and ongoing management of epilepsy are virtually non-existent in many of the world's poorest regions." He added: "Many people with epilepsy or their families do not even know that they have a disorder that can be controlled with biomedical treatment, so it is vitally important that awareness is raised and medical care improved in these regions." Medications are available - but there can be problems distributing them, especially to remote areas. The researchers say there are low-cost ways of improving the situation and of reducing the stigma often faced by people with epilepsy and their families - such as working with traditional healers and awareness campaigns to increase understanding of the condition. In some countries, traditional beliefs about the causes of the condition, including bewitchment, spiritual causes and curses, lead to stigma and increase the chance that a person with epilepsy will not get the treatment they need. A Lancet editorial adds: "Given the prevalence of epilepsy globally, it should be included as a priority on the public health agenda, and access to treatment should be greatly improved in developing countries. "It is time for all governments to take epilepsy more seriously."